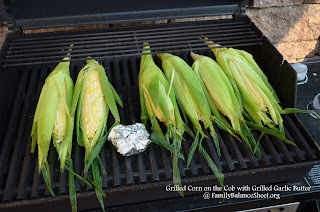 I grilled corn on the cob for the first time last week and it was UNBELIEVABLE. Grilling intensifies the flavor and sweetness and when you add grilled garlic butter…TO.DIE.FOR!!! 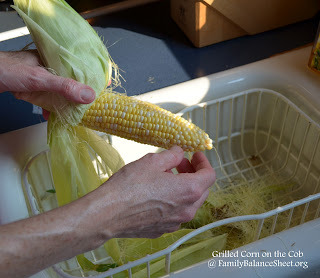 Grilled corn on the cob takes a bit longer to cook than boiled corn, but so worth the taste. 1. 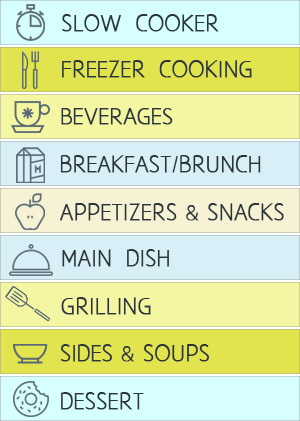 Pull the husk down without removing it. Remove the silk and pull the husk back up. 2. Soak the corn in a big pot of cold water for 30 minutes. 3. Heat grill to medium, about 400-450 degrees. 4. Place corn on the grill and close lid. 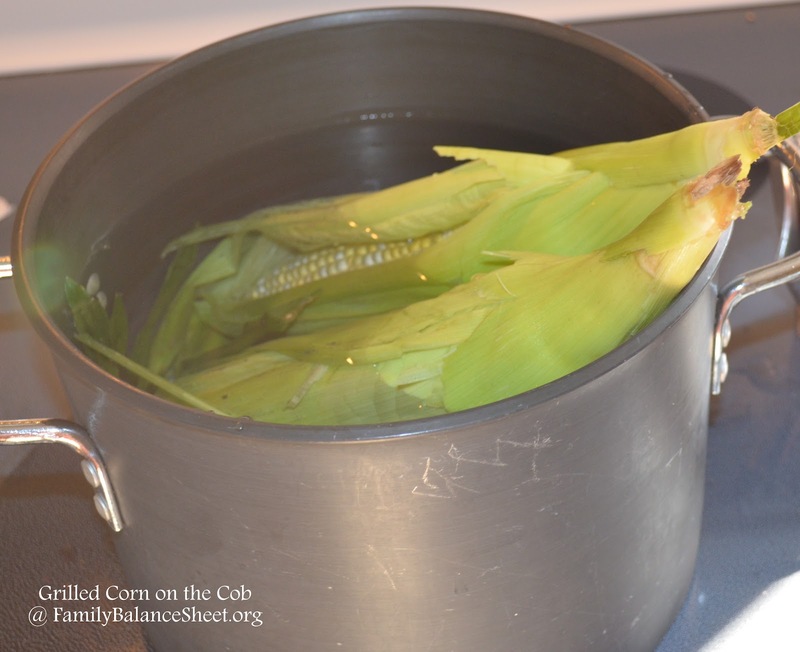 Cook for 15-20 minutes, turning the corn every 5 minutes. 5. Pull the husk back and remove or use it to hold the corn. Grilling garlic is very similar to roasting garlic. 1. 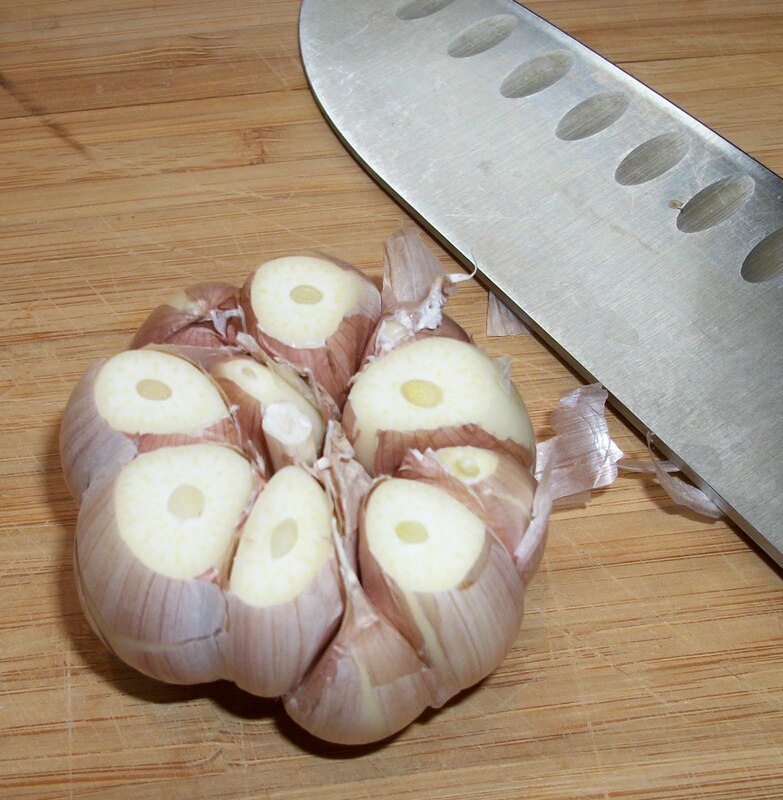 Cut ¼ – ½ inch off top of garlic head and remove the outer papery layers. Leave the skin on the individual cloves on the garlic. 2. Place garlic piece of foil large enough to wrap entire head of garlic. Drizzle olive oil over the exposed cloves. 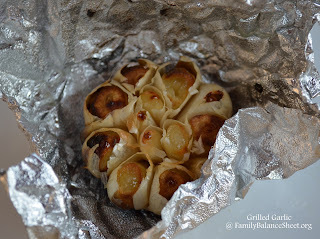 Wrap head of garlic tightly with foil. 3. Place the packet on the grill with the corn. The garlic will cook in 15 – 20 minutes. It is done when it can pierced pierced with a fork. Be careful not to let the garlic burn. Once the garlic is cool enough, the cloves easily remove from their skins with a small fork or your fingers. 4. Place 1 stick of softened butter and 4 – 5 of the grilled garlic cloves in a bowl and mix with a hand mixer until creamy smooth. 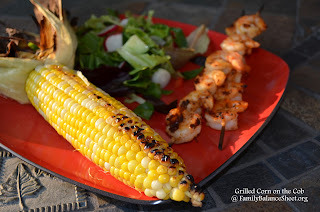 Slather on the grilled corn and ENJOY! We do this, except I don’t remove the silk first. I grill it after soaking, then do all the work when I’m slathering on the garlic butter.